In urbanized areas, towns, cities - everywhere there are living humans, there are also nature. Well known examples are jackdaws nesting in chimneys and rock-doves, swallows and house-sparrows near our houses. In industial and harbour areas one can see nesting black redstart and crested lark. Several of these species comes from rocky and steppe- regions and the rather harsh "landscape" in the cities seems to suite them fine. Numerous species of wild plants can be found in the cities too. Many of the plants have had their seeds spread by the wind to roadsides, in crevices in the pavement and between the bricks in walls. Other plants has come to the cities through human activites fx. seeds adhering to sacks, clothes and other things imported from foregn places. Finally man has deliberately introduced a number of plants, which he has carried with him for practical use in earlier times. And these plants are often seen around old ruins and buildings. 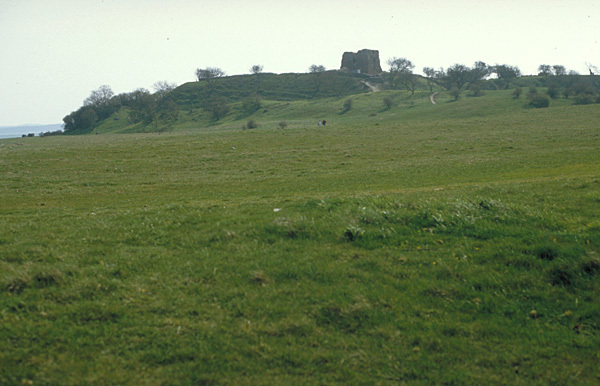 The picture shows the ruins of the Castle at Kalø which lies on the peninsula Djursland (the "nose") of Jutland. It is a very good place to look for old medical plants.